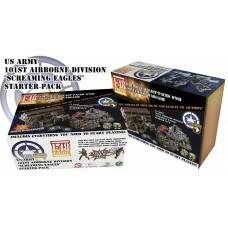 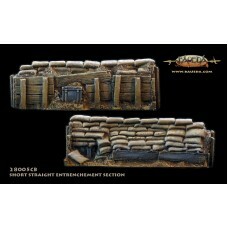 Starter set for the miniature game 1-48TACTIC.1-48TACTIC is a brutal fast-paced skirmish scale table..
28mm "Dragon's Teeth" - 36 pieces anti-tank reinforced concrete barrier (German).Tank traps like the..
Short straight log entrenchment (1 section approximately 85mm long and 30mm high) Fortification..
Log entrenchment corner (1 section approximately 85mm long, 45mm wide and 30mm high) Fortificat.. 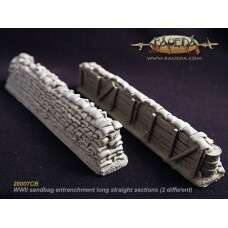 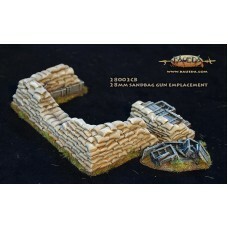 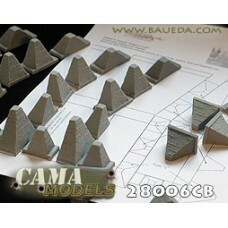 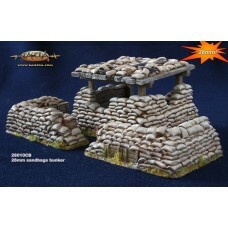 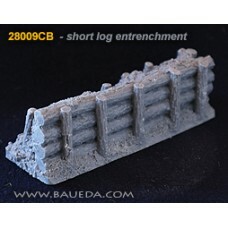 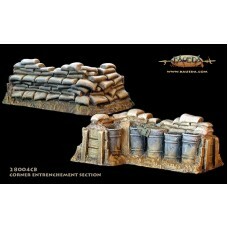 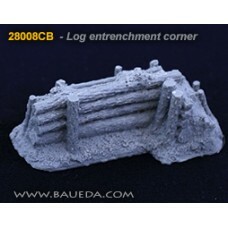 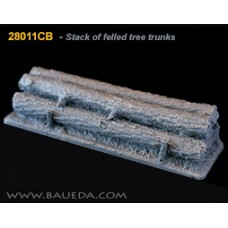 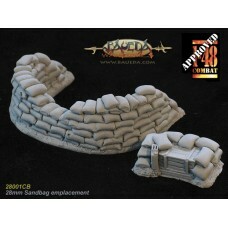 This model accurately reproduce the depth and structure of the real thing, and include a small ammo ..
28mm Sandbag Bunker (4 pieces) A much larger sandbag bunker than the 28mm frontline sentry post..
Sandbag entrenchment long straight sections (2 different, each approximately 160mm long and 30mm hig..
Short straight sandbag entrenchment (1 section approximately 85mm long and 30mm high).Fortifications..
Sandbag entrenchment corner (1 section approximately 80mm long and 30mm high).Fortifications made wi.. 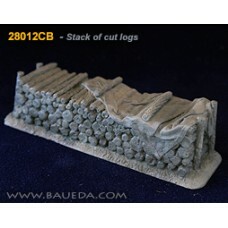 The most basic type of sandbags emplacement, designed as a machine gun nest but can of course be use..
28mm Stack of cut logs (approximately 120mm long and 30mm high).Forestry scenics: stack of cut firew..
28mm Stack of felled tree trunks (approximately 120mm long and 30mm high) Forestry scenics: a s..